Young Saracens doing us proud! This last weekend (Friday 26th January), five teams from the Saracens RFC Kuwait club travelled to Dubai to compete in the HSBC Rugby festival. On this occasion, the U6’s, U7’s, U8’s, U9’s and U10’s were representing and for many of the younger players, it was their first tournament. With 17 clubs from the Middle East competing we are exceptionally proud of all those who took part, especially the U8’s and U10’s who came 2nd overall. This is an incredible achievement, a fantastic result after their hard work training each weekend and a real testament to the quality coaching they received. A huge well done to all! The HSBC Rugby Festival is an annual event that attracts all of the competing youth teams from the region. Although the 2018 attendee information is yet to be published, last year was comprised of 230 teams, 3000 players and over 700 games played over 2 days. This is a huge event and we are delighted that not only did our Saracens teams play well but all players demonstrated great sportsmanship throughout, both on and off the pitch. 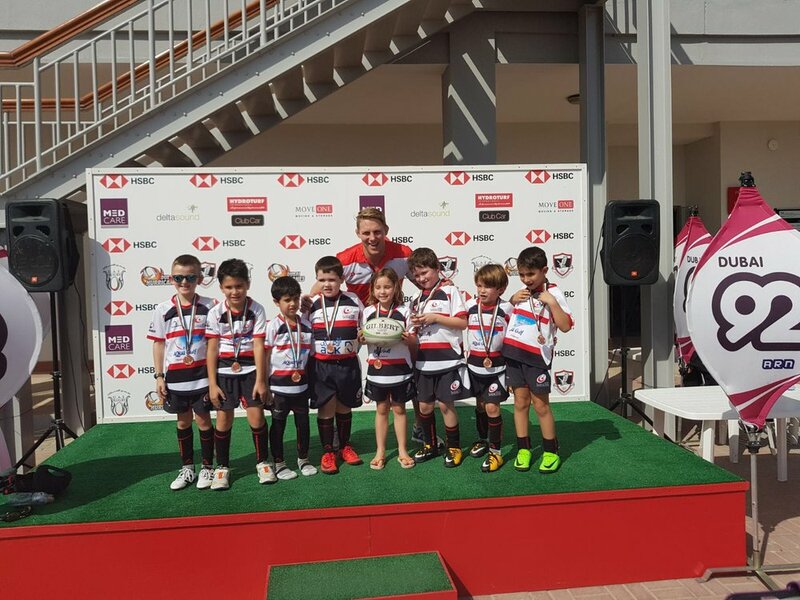 By all reports the U8’s and U10’s lost narrowly to the Abu Dhabi Harlequins and Dubai Tigers respectively, defeated in the final moments of the game. Regardless, the young players demonstrated great team spirit and good comradery right up until the final whistle. Both parents and coaches are very proud of the performance and achievements of all those who took part on the day. As a club, we would like to give a huge shout out to all those involved - to the parents on the side-lines each weekend, the coaches volunteering their time, to those who work behind the scenes taking care of organisational logistics and finally, the sponsors who make it all possible. Thank you to Aqua Gulf, Slim Chickens and Agility for your continued support and desire to encourage youth Rugby within Kuwait. Having had a taste for competitive Rugby, many of the young players are now even more excited for their April tournament in Bahrain. Hopefully with some lessons learnt and more training, we can look forward to more fantastic results in the future!